British manufacturer and importer of quality disposables Herald is enjoying an increase in sales across its full product range. For over 30 years, the family-run company has provided disposable products for the bar, catering and hospitality sectors, manufacturing certain items as well as importing goods from all around the world. Herald’s extensive disposable product range consists of plastic cups, paper cups, cutlery and other related tableware; bar disposables, including plastic glasses and cocktail accessories; and food containers and packaging, including foil trays. Also available are novelty straws; bakery items; candles; lemon wipes; and disposable aprons, gloves and headwear, along with other janitorial products. 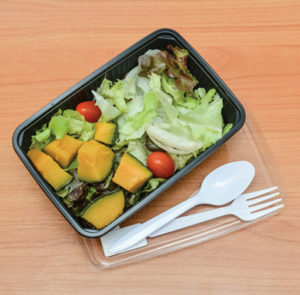 Herald’s selection of disposable cutlery is gaining a particularly keen following among wholesalers and food-to-go establishments, with customers impressed by the quality on offer and the easy availability when accessing the goods, which are mainly held in Herald’s warehousing space in London. The three different ranges of cutlery available – Carizma, Tuzcani and Windzer – provide a wide variety, allowing customers to shop according to style and budget preference.